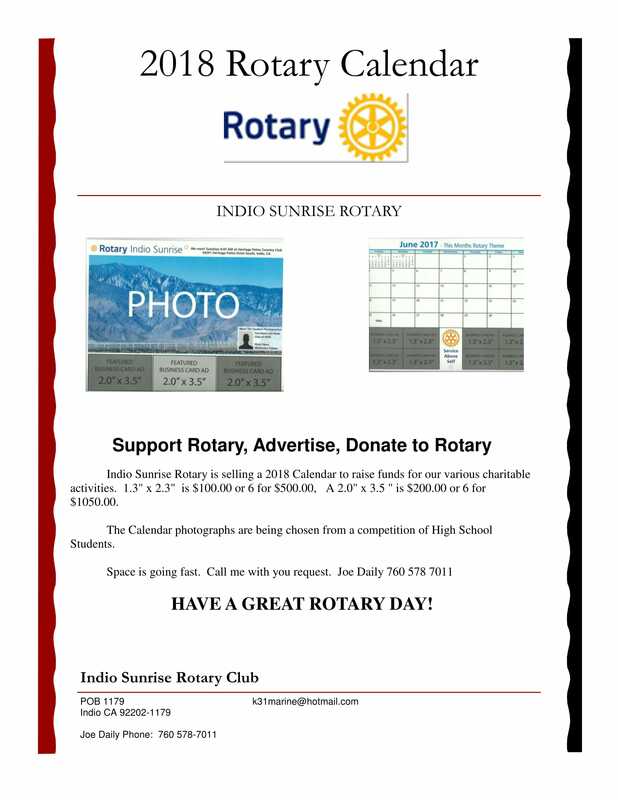 Indio Sunrise Rotary is selling a 2018 calendar to raise funds for our various charitable activities. The Calendar photographs are being chosen from a competition of High School Students. Space is going fast. Call Joe Daily with your request. Have a great Rotary Day!